Philip Andrews designs and crafts each custom piece using traditional woodworking techniques from the 1700 and 1800s. All hand-crafted designs are hand planed, hand sanded and hand painted or stained. 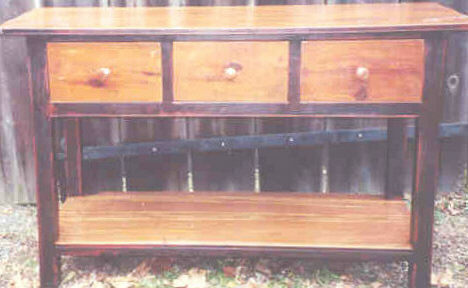 Philip will craft furniture to meet your specific diminsions and will finish your piece as requested. This beautifully crafted pine Dry Sink Bucket bench is hand planed and hand painted Venetian Red. It has been antiqued in all the right places and lacquered to complete the finish. This piece is 48 inches wide x 82 inches tall x 20 inches deep at the base x 13 inches deep at the top. The dry sink Dutch cupboard above, titled Melissa Oak, is custom made. 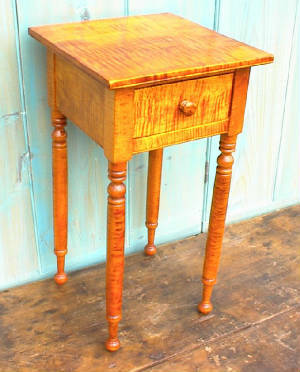 It is reminiscent of early 19th century country style pieces. 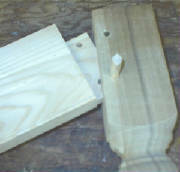 All doors are mortise and tenon and pegged. Individual panes of antique glass are used in the top doors. 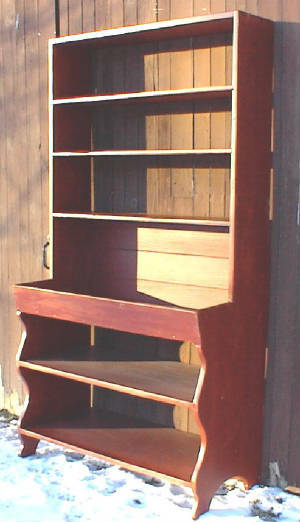 It has an Antique Oak stain and lacquer finish. The Holiday Sideboard is a uniquely hand-crafted piece specifically designed with celebrations in mind. It is perfect for elaborate spreads or festive hors d'oeuvres. 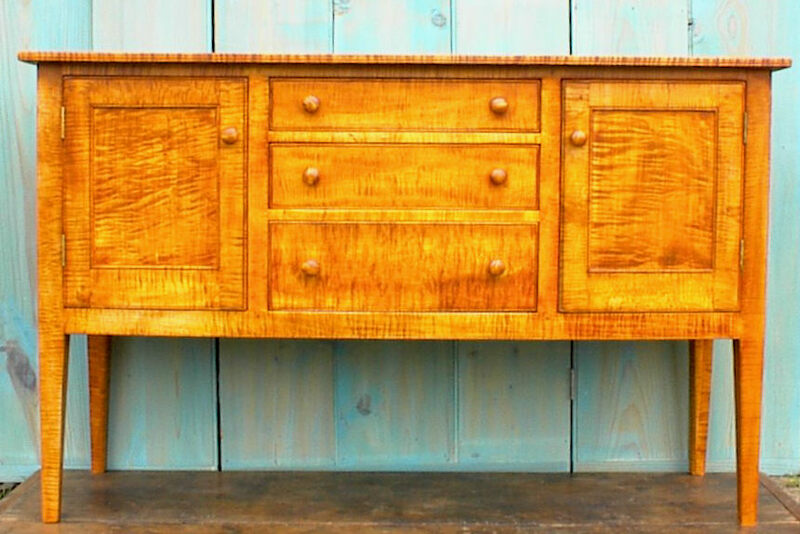 It has hand carved wooden knobs, painted black legs and a lacquer finish. 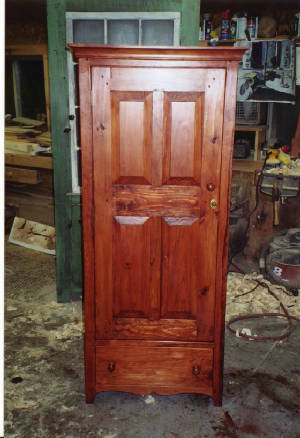 The one above is 54 x 36 x 20 and crafted in pine, but is also available in cherry. As always, a custom design can be fashioned to fit your specific requirements.